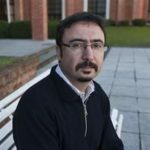 Juan Carlos Hallak is an Associate Professor at Universidad de San Andrés (on leave) and a researcher at CONICET (on leave). He is currently the President of the Comisión Nacional de Comercio Exterior in Argentina. He is also Associate Editor of the Journal of Development Economics and a co-director of the Trade, Integration and Growth Network (IDB-CAF-LACEA). His fields of interest are international trade and industrial development. His main work has been published in the Quarterly Journal of Economics, The Review of Economics and Statistics, the Journal of International Economics, and the Journal of Development Economics. He was an Assistant Professor at the University of Michigan (2002-2007) and a member of the NBER (2004-2013). He received his Ph.D. from Harvard University in 2002.